By admin | February 8, 2016. The Liberties Festival looks set to expand its operations this year following a celebrated win at the Community and Council Awards. 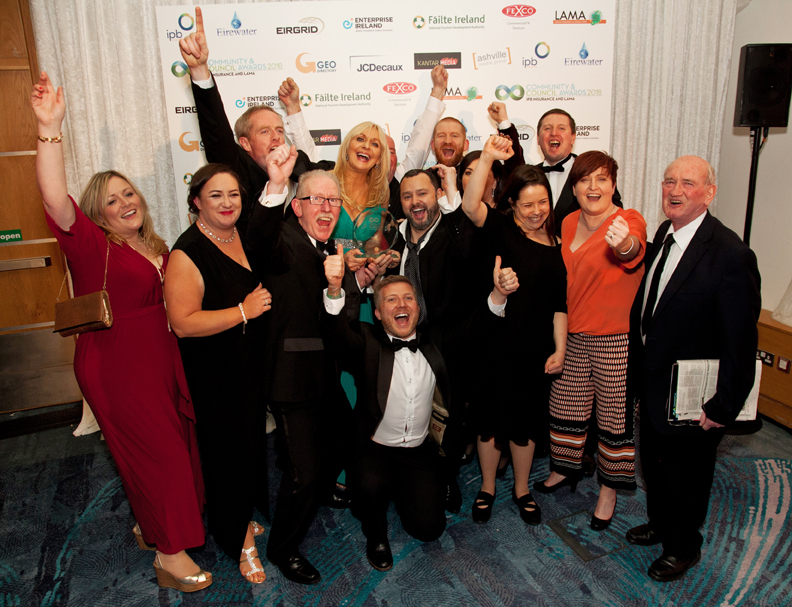 Director Ger O’Donnell and his ambitious team of volunteers scooped up the award for Best Local Festival/Event of the Year at the awards which took place in the Crowne Plaza Hotel in Santry last week. Speaking to The Liberty, O’Donnell described the feelings on the team when they found out the good news. “We were absolutely shocked. I remember Miriam O’Callaghan, the MC, kindly asked that only two reps from each organisation collect their award, however as soon as our name was called all 12 of us bombarded the stage. The Liberties Festival volunteer team has become a little family, they put everything they can into the festival, it’s just a pity we couldn’t have brought more of them on the night,” O’Donnell said. The festival is praised for its wide variety of events for all ages, most which are free of charge to attend including children’s workshops, LGBT events, photography exhibitions, theatrical performances and the Gardaí vs Street Traders football match. O’Donnell explained how he hopes to continue this trend for this year’s festival. When asked about what we could hope to see at this year’s festival, O’Donnell wasn’t quick to let the cat out of the bag just yet.